Here is a short version of a twisted willow whip, recently made but in the traditional way. 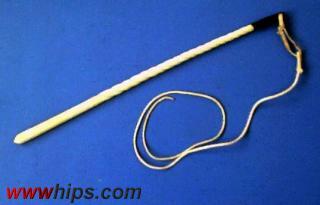 It was sold as a "dog whip", i.e. signal whip. The handle would be strong enough to carry a heavier thong, like an Australian stockwhip.